Have you seen our new displays? Thanks to the renovation, we now have lovely end cap display sections sprinkled throughout all 3 floors of the library. There are current displays on black preaching, discipleship, and anti-racism resources, with a Spirit(s) of Formation display on the way to complement the upcoming 2019 Schaff Lecture. 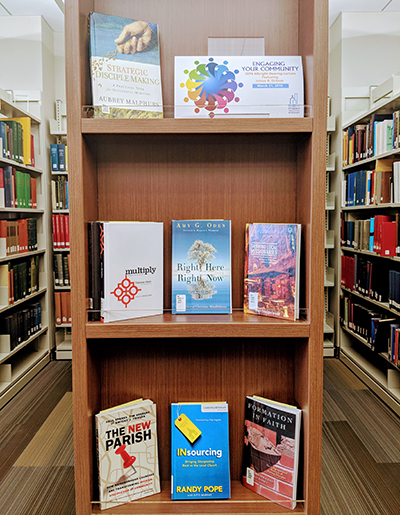 Curated displays are accompanied by a full bibliography that you can grab for later reading, and will be archived on the library website for those looking for topical reading suggestions. If you (or your department) have an event or subject for which you’d like a companion display created, please let us know by contacting Alyson Pope or Ellen Little, we would love to collaborate!